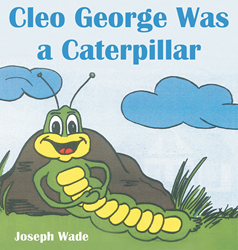 Recent release “Cleo George Was a Caterpillar” from Page Publishing author Joseph Harold Wade is both entertaining and philosophical; this children’s work explains self-identity and acceptance. Joseph Harold Wade, a creative writer and author, has completed his newest work “Cleo George Was a Caterpillar”: a fun and captivating story full of animated animal characters that will be loved by children and adults alike! Published by New York City-based Page Publishing, Joseph Harold Wade’s vibrantly crafted work depicts the beauty of life, animals, friends and family. Cleo George, a larger than life Caterpillar that is accepted by all, and who never fails to make the most of his day. At school or home, every day is awaited with great anticipation. Readers who wish to experience this creative work can purchase“Cleo George Was a Caterpillar” at bookstores everywhere, or online at the Apple iTunes store, Amazon, Google Play or Barnes and Noble.